Secure earned media coverage with my Pitch Craft Guide to Media Pitching. What a perfect Halloween day or rather a good enough spooky excuse to face some of your fears or rather one of your fears – the fear of media pitching or selling in your story to a journalist or blogger to secure media coverage. Many businesses I talk to are scared to pitch their story for fear of rejection. 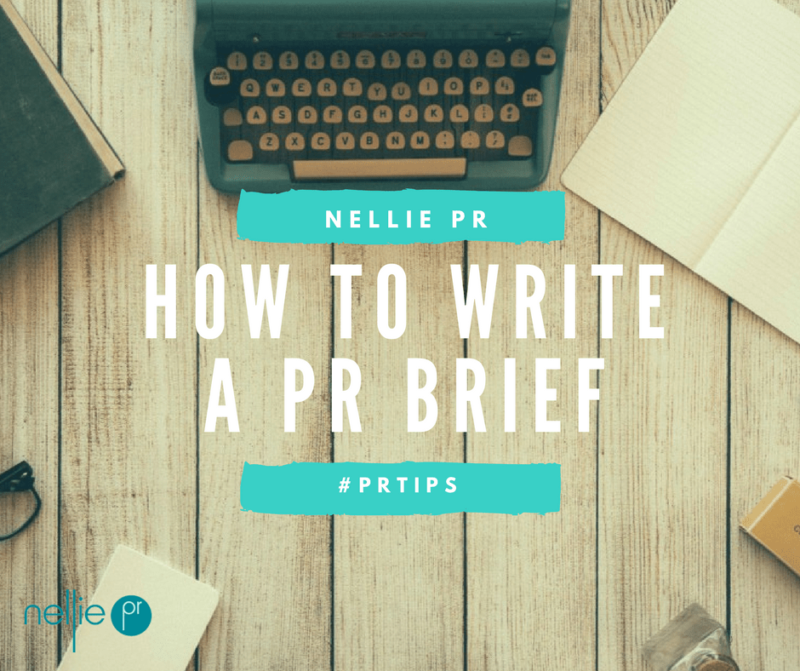 And even if you work in PR and comms, you know that pitching is a craft that takes skill especially when you take into consideration the volume of emails that journalists receive daily. I’ve also witnessed experienced PR people wince at the thought of pitching especially if it means that they have to pick up the phone. But don’t let fear hold you back. Media pitching doesn’t have to be scary. Indeed, once you’ve got a few successful pitches under your belt, you’ll come to love it, just like I do. 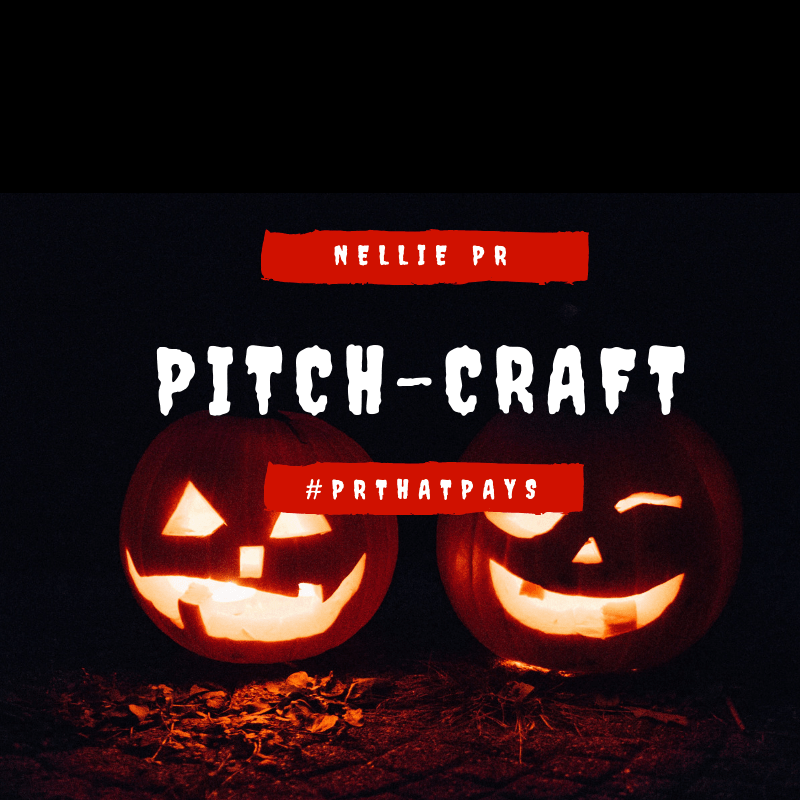 To help you, here are some Pitch Craft treats from me your friendly PR Witch – only at Halloween mind (the witch part that is) as I’m friendly all year round and really know my stuff when it comes to pitching. Remember, journalists, freelancers, bloggers, and the like need you as much as you need them. They need stories, they need ideas and content. If you’ve got a great story and something to say, want to say it and would benefit from some amazing press coverage (what business wouldn’t), brush up your Pitch Craft skills and get over yourself. Why? Because it’s not about you. The end readers and viewers need to come first – answer the why or rather the ‘so what’ to make sure your pitch takes into account what the end audience wants to read, see or hear. The more you understand that audience, the better your pitch will be and you will focus on the outlet that is right for your audience. Keeping with the Halloween theme – do you have a hook? By hook, I mean a strong story that fits the publication/outlet in question such interesting and independent research, reaction to timely issues or news, follow-up or the promise of a case study. In the main, the media isn’t interested in product news unless you’re talking the latest tech or selling in product for a specific feature. If that is the case, pitch away but make sure you don’t forget your hook – the thing that will make you stand out. If you’re stuck for a hook, monitor the news for key issues in your industry. Google Alerts is a good free tool for this and could give you the hook you need to get in touch with the journalist that has just covered a particular issue – offer them a different angle or an opposing view, for example. Do your research. Is there a particular publication that you want to get in? Make sure you do your research and understand what exactly they are looking for and what taking part will entail. For example, if you’re looking for a slot on BBC 5 Live or BBC Breakfast that means an early start (so you have to be up for that and available) and the broadcast media will expect a busy and visual backdrop – so that will mean that you need to get your staff in early. Don’t promise and then not be able to deliver – you don’t tend to get second chances. Think beyond the obvious – there are some great podcasts, Twitter chats, and speaker opportunities. Take your time to understand the opportunities and where you could plug a gap or offer something different. No opportunities or guidance listed? Drop a line to the publication in question. Many publications will issue a regular email to their PR contacts to let them know what is coming up with synopses and contact details. Make sure you’re on the mailing list. Make sure you have the right person to pitch your story to. For example, if you’re a small business – focus on the small business correspondent and take the time to read/watch/listen to their previous work – so you know exactly what they want to write about or the type of stories they like to feature. Remember, much of the media use freelancers so take the time to research and get to know the freelancers that write for the publication/outlet you want to feature in. Here are some tips on finding the right contact and creating your very own media list. Tailor your pitch. Spend time crafting it to the right person and make direct reference to the target end audience and the content you can supply. Get straight to the point – bring in your hook and answer the who, what, where, when, why. Want to know what a successful pitch looks like or get feedback on a pitch of your own? 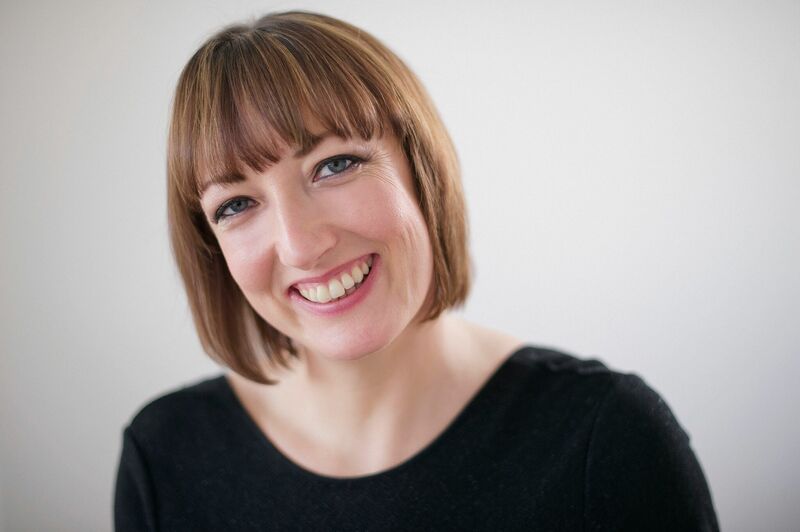 Join my PR that PAYS programme or sign-up to my email newsletter list to be alerted (not spooked) with dates of my Pitch Craft workshops. My next Pitch Craft training workshop is in February 2019. If you’re pitching to broadcast highlight the visual nature of the story or interview backdrop. For radio, stress the fact that you can get to a local BBC studio (other studios are available) or that you’re happy to come into the studio. Highlight your credibility (if pitching yourself forward) or the credibility of your spokesperson. For example, include a link to previous TV or radio footage to enable the journalist to check them out for suitability and a short biography so that the journalist/producer can check that they have the right experience. For print and online, great photography, imagery as well as video footage (online) matters so include a link to a great photo(s) and highlight what imagery/footage/audio you have available. If you’re pitching to a particularly time-pressed visual publication (think interiors/fashion etc.) you can also embed the cut out image into the email so the journalist can see the visual straightaway. Highlight the things that set you apart and show that you are the person to speak to i.e. the number of staff you employ, the oldest, where you are based for local pick-up, for example. For example, you don’t want to pitch a story too late. As a guide, in magazine land, Christmas is Christmas in July for a reason and glossy print magazines will work months in advance. Pitching something to a Sunday paper, make sure your pitch is there before Thursday. Time your event so the media can cover it i.e. local TV needs to get to the event, film, get back to the studio and edit all in time for their slot. Think key dates and issues – piggyback in advance of reports and figures such as the Budget, retail figures, ONS figures (the list goes on and on) and issue-jump on news coming out i.e. high profile documentary, third-party statistics, and reports. When it comes to timing, also have a think about quiet news times. For example, Christmas can be a quiet time when a publication’s usual contacts are away on holiday meaning that you might get the chance to put forward your spokesperson, get the outlet to do a pre-record or secure some more detailed press coverage. I’ve used quiet times to get some fantastic footage and press coverage ‘in the can’ to run over the festive period. Be quick, if you are responding to a journalist request, including #journorequest on Twitter (not what it was but still useful for the odd opportunity) the early bird often catches the worm. The same goes for media requests you sign up for. For more Pitch Craft advice, including tips on subject lines and how to build long term relationships, sign-up to my email newsletter for tips on PR that PAYS. You’ll also be the first to hear about my online workshops and PR training courses. My next Pitch Craft media pitching workshop takes place 12 February 2019 in Exeter. 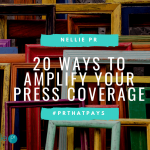 In the meantime, good luck and here are some tips from me on making the most of your press coverage: 20 ways you can amplify your press coverage. Looking to be more strategic with your PR? 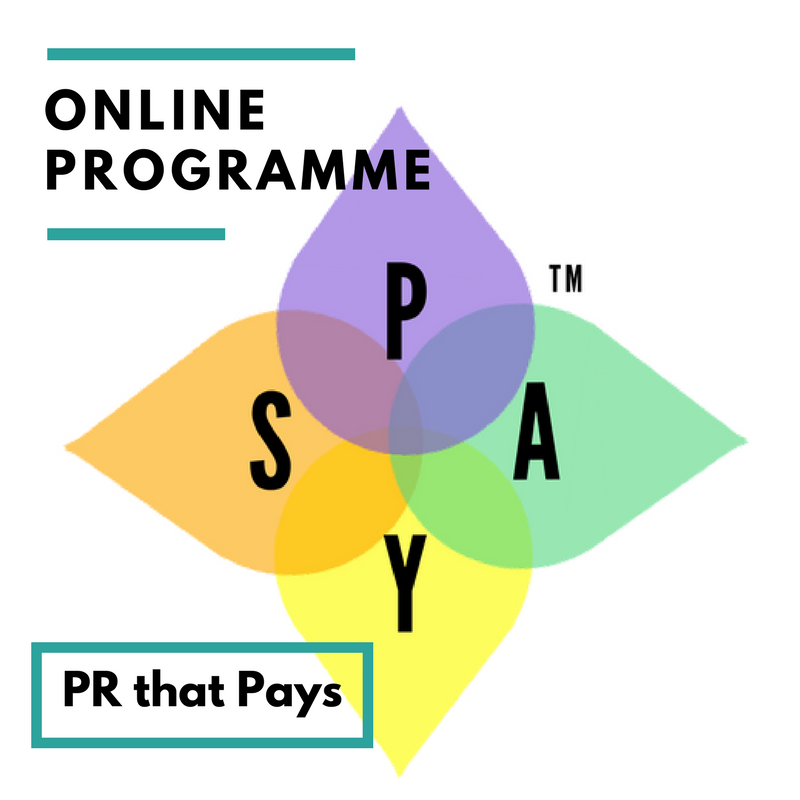 Join my PR that PAYS programme or check out ways you can work with me. 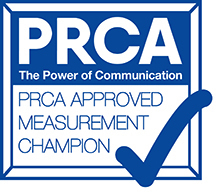 PR champion with a passion for profitable PR and newsworthy content. 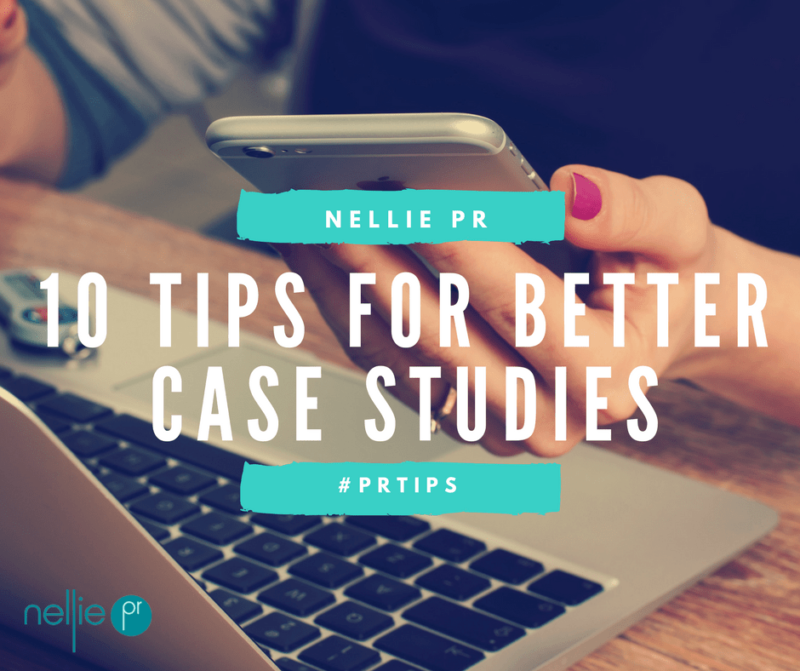 Setting up Nellie PR in 2007, Ellen has over 20 years’ experience in the PR and marketing industry.